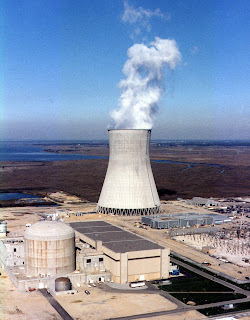 Nuclear reactors run on low-enriched uranium which contains about 3-5 percent uranium-235. Weapons-grade uranium, by contrast, contains 90 percent uranium-235, though a concentration of 20 percent (or possibly even less) could be enough to make a weapon. Enrichment increases the amount of uranium-235 atoms thereby increasing the amount of available uranium usable for making electricity. Enriching uranium, however, isn't an easy (or cheap) process. Two main methods are currently used to enrich the element. The first is gaseous diffusion which uses gas to sort of filter out the uranium-235 like a water filter. A plant in Paducah, Ky., uses this method to enrich uranium in the U.S. The second method, called gas centrifuge, works sort of like a lettuce spinner. Several rotating cylinders spinning at high speeds force uranium gas to separate, sending some of the uranium-238 to the outside while collecting uranium-235 on the inside. The uranium-238 is recycled, leaving the uranium in the center with a higher concentration of uranium-235. No U.S. plants currently exist to enrich plutonium this way, though two are being built. The laser separation technique would use a laser light of a single color to target and alter one isotope without affecting the others, separating the isotopes. The technique used by G.E. is an Australian technique called Separation of Isotopes by Laser Excitation (SILEX). While the large gaseous diffusion and gas centrifuge enrichment plants are easy to spot, opponents of the laser technique worry that it can be done on a much smaller scale and will therefore be harder to find. Rogue nations wishing to enrich uranium will be able to do it far more clandestinely with the laser method, they say. G.E., according to the Times article, has spent the last two years enriching uranium with lasers in tests and is seeking the government's permission to build a plant in Wilmington, N.C., to do it full-time. Opponents also worry that secrets on how to enrich uranium with lasers could leak from this new facility. Last year, the American Physical Society (APS) published a petition urging the government to consider the risks associated with adopting new uranium enrichment techniques. In a letter addressed to the Nuclear Regulatory Commission, APS asked that companies be required to show proliferation risks when applying for a license from the Commission to enrich uranium. Two of the questions APS urged the Commission to require applicants to answer include "Could the facility be constructed and operated in a manner that is undetectable?" and "Could the design of the technology be altered easily to allow for diversion of nuclear material?" The article repeats the opponent's argument far too many times.